Hehe!! Sat at my desk messing at work (yes, I know its sat) which overlooks the main road into the estate. 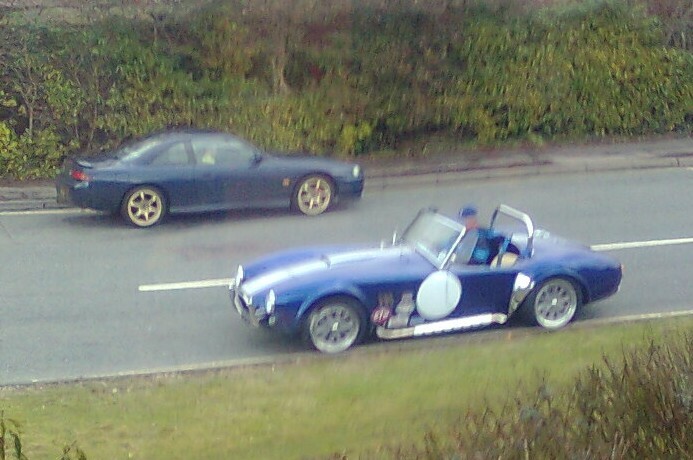 Some guy in a cobra replica has just lost control and stuffed it into the kerb right by my window! I head the engine and looked around to see him coming pretty much backwards down the road! Its now sat facing the wrong way on a one way road with a front wheel facing completely the wrong direction. Sounds like a boy racer. 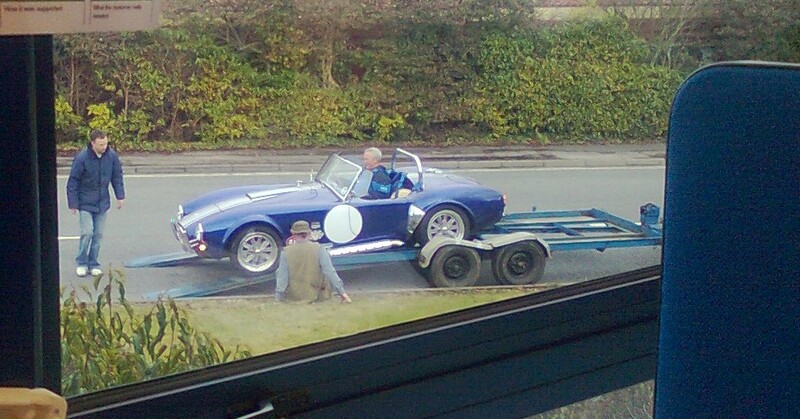 Hmm Cobra, replica or not is not a boy racer's toy. They're renowned for going backwards. Twas funny! I heard 'bwaaarrrrppp SCREEEEEECH' so looked round to see it going sideways! Anyway, pics! 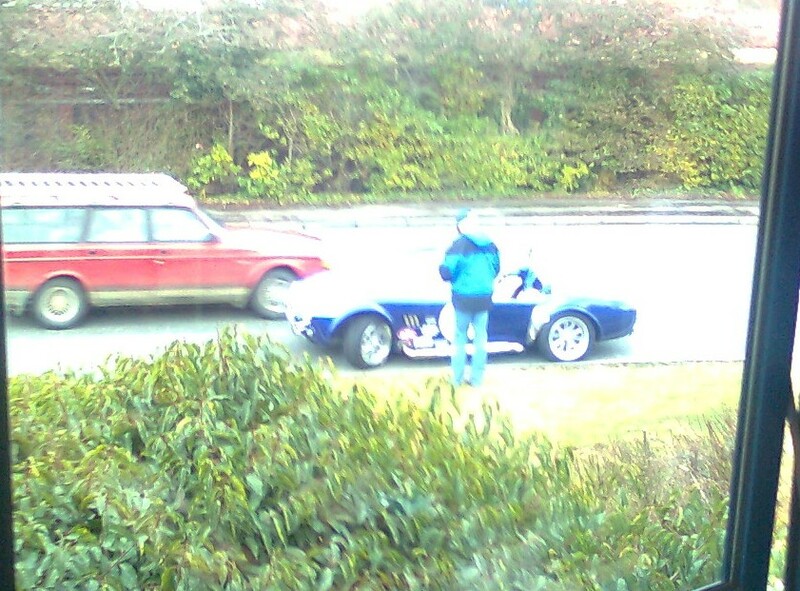 Sorry about the quality, a combination of cameraphone through a window and me trying not to wet myself with laughter. Just after it happened. His mate was in the rice burner. After he tried to drive it, the front wheel was no-longer connected to the steering. WTF moment for the volvo driver, this road is one way! Chap sat on the ground is kicking the front wheel to keep it straight.